Dan Nightingale is widely regarded as one of the best became the best new comedy night in the North. As performers working on the comedy circuit today. well as developing his reputation as a top-class circuit Mixing fiendishly accurate observation with energetic headliner and in-demand MC and host, he has also characterisations and killer punch lines, his comedy performed regular TV warm up for the likes of Jonathan is original, playful, intelligent, poignant and exciting; Ross, John Bishop and Celebrity Juice. sometimes ridiculous… but always hilarious. 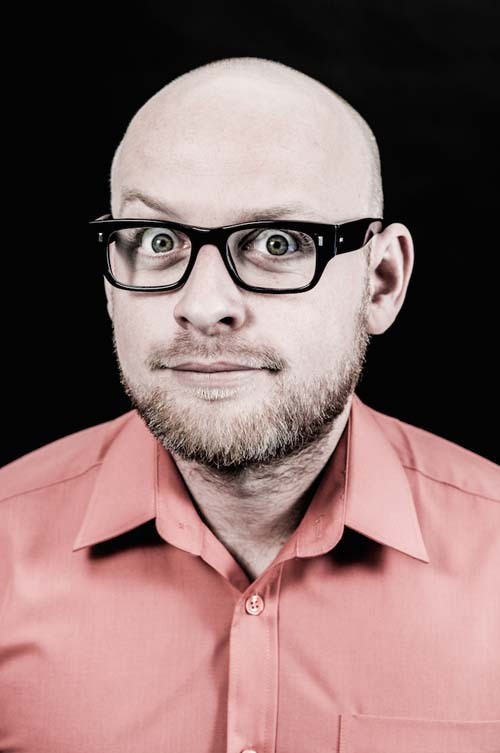 Dan has also become a regular crowd pleaser and Dan began his comedy career in Newcastle in 2002 and critically acclaimed success at The Edinburgh Fringe, then moved onto Manchester, where he spent ten years having performed solo shows since 2008. He returned and became one of the most recognisable faces on the in 2014 with his hour long, one man tour de force; ‘Dan North West Comedy circuit. “Dan Nightingale’s musings have warmth and easy going charm. Solid material.